If you’ve decided to give yourself a better Independence daily drive with a new Mazda, then congratulations! You’ve just bought one of the most reliable, dependable cars on the planet. But, just in case something should go wrong with your new car, you also get one of the most comprehensive warranties in the industry, as well as an unheard-of bonus from us – a limited lifetime warranty that covers your new Mazda for as long as you own it. Mazda’s new vehicle limited warranty covers defects in material or workmanship in all parts supplied by Mazda. 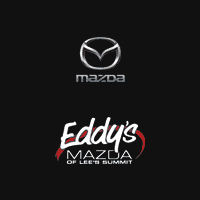 If you have any issues with your Mazda vehicle during the warranty period – even if you bought it in Overland Park at another dealership – the service center at Eddy’s Mazda can make repairs and keep your warranty intact, you don’t have to do anything more than bring it in. All you need to do to ensure your warranty remains in effect is to follow the regularly scheduled maintenance plan outlined by the manufacturer. This information can be found in your owner’s manual. 0 comment(s) so far on How Long is the Warranty on Mazda Vehicles?